Category Archives: Where to Now? The end of cancer treatment often causes great concern and unexpected emotions. Here are suggested ways to move forward. Posted in Inspiration • Where to Now? Many years ago, we took our three young children to see the famous Cango Caves in Oudsthoorn, South Africa. To show us what the cave must have looked like to the farmer who discovered them, the guide put out all the lights. That darkness was so thick I couldn’t see my hand in front of my eyes. There were probably about thirty people with me, and yet I could well have been alone. Posted in Where to Now? On Friday 28th March, 2014, my husband and I approached the large rugby grounds where the 2014 CANSA Relay for Life was to be held. Posted in About • Where to Now? It is often difficult to know what time of the day, or even which day, to visit. You don’t want to arrive when they’ve just returned from a chemo session for example, or when they’re getting ready to go for blood tests, and are feeling anxious. They may even be struggling with their appearance, or feeling robbed of their dignity, and not want visitors at all. I mentioned in a previous blog that I recently lost two relatives within a few months of each other. They were in fact husband and wife. The wife became very gaunt and fragile and hated being seen that way. She didn’t want visitors apart from immediate family. Some people took exception to this and made it really awkward as they demanded to be allowed to visit–or just popped in. This caused the patient and family unnecessary stress. The husband, a few months later, was hospitalised with aggressive cancer and there was nothing that could be done. He had a severe cough and was on continuous oxygen. Whenever he tried to speak, he broke into painful coughing, battling to breathe. He couldn’t cope with visitors who asked questions. So we had to say, “No visitors!” Despite these appeals, a number of people did come, and we were in the embarrassing situation of having to ask them to leave. It is far better to phone the patient, or if necessary (as in both the above cases) the person closest to the patient, and ask when it will be convenient and what you can bring, if anything. If you are asked not to visit, please accept this request. It may be temporary–or it may be for a long period. It is especially difficult if the patient is terminal. But honour their feelings. Write them a note, telling them how you care. Send them a card, with your own words, giving them a message of appreciation or encouragement. Those will be far more helpful than an unwanted visit. How can cancer ever work for good? The Bible clearly states that all things will work together for good for those who believe. * Well, I believed. But in the years 1997/8 I couldn’t see how all this treatment and suffering could ever work for good. A few years after I finished treatment, my oncologist hired a bus and took a group of us to a daylong seminar at the Cape Town University. There I gazed in awe at the thousands of healthy looking people, men and women, who laughed and mingled with one another. They all had one thing in common: cancer. Everyone in the large auditorium had experience of cancer, either in their own bodies, or in someone they cared for. I had been reluctant to go to the seminar. I anticipated a depressing and disheartening day. I was so wrong. The speakers, all cancer survivors, were upbeat and positive. The atmosphere was joyful, and at times hilarious. Many people gave testimony to the blessings that they had received as a result of cancer. Well I couldn’t say that I was grateful for it, but I could certainly see many blessings that it had brought about, particularly in the family circle. Rob and I had grown closer than ever before. Our relationship with our sons had never been better. Family and friends, with whom we had little contact, started to get in touch with us. Love developed where it had grown cold. I began to understand that God, my heavenly Father, could take the bad experience of cancer, and turn it into something good, if I would only let Him. At least, that was the theory. But to be able to say I was grateful for cancer? No ways. Yet now, nearly fourteen years since my diagnosis (in 1997), I can look you in the eye and say, “I’m grateful I had cancer.” It changed my life and enriched me as a person. Because of cancer, I am now a published author. Because of cancer, I have taken two trans-Atlantic flights and attended two American writers’ conferences. Because of cancer, I have a book of devotional messages for those in the cancer valley coming out in the States next year. I’m not going to lie. I pray every day that I won’t need to go through it again. But yes, God has worked things out for good, and I’m glad. How about you? Can you identify any good that has come into your life through your cancer experience? Please share it with us. And if you have a positive experience to share with us, please email me. The day I heard my cancer treatment was at an end, I was shattered. For a full year, I had fought this dreaded disease with everything in my power. I had undergone two lots of surgery and seven weeks of radiotherapy (also called radiation). I had been subjected to two regimes of chemotherapy, each lasting nearly five months and using a total of five different cytotoxic drugs. So why the strange reaction? On the 16th November, 1998, I lay on the treatment bed and watched the yellow liquid running into my veins. I rejoiced. This was my second last treatment. In three weeks time, I would have my final dose of chemotherapy. What would it feel like to know the year of treatment was over? I felt excitement as I anticipated the celebration we would have on that glorious day when the needle was pulled out of my chest for the last time. My oncologist entered the room, and started to disconnect the tubing. He smiled at me. “That’s the end of your treatment. No more chemo for you. How does it feel?” I looked up at him, puzzled. “No. I have one more in three weeks time.” His smile didn’t change. “Nope. You’re done. I’ve decided you’ve had enough.” I felt a rush of panic. He was making a mistake. He needed to check his records. I still had to have one more. My thoughts changed. Maybe he’d had enough of me. He didn’t think it was worth wasting more medication on me. He knew I was going to die. My mind raced in circles as I watched him remove the last of the tubes, and stretch a plaster across the small wound leading to the A-port that carried the drugs to my heart. “I don’t mind having one more,” I said, trying to stay calm. “Really I don’t. Rather safe than sorry.” He shook his head. For the rest of the day, I tried to look happy. I told my family the “wonderful news”—yet I was filled with dread. I felt as if I had given up my fight. 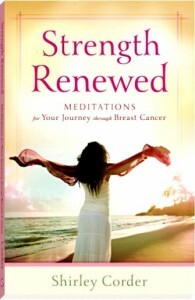 I have since learned that many cancer survivors face the immediate post-treatment phase with the same reactions I had. They are flooded with feelings of helplessness. Their future seems uncertain. The support they had during their illness and disease comes to an end as people rejoice that they have survived the treatment and are now well on their way to good health. The survivor is now on his or her own. Or so it feels. So how can we get past this feeling of helplessness (and not everyone feels that way)? Are there ways that help? I believe there are, and over the next few posts I plan to look at some of them. Braaivleis or Barbeque—whatever you call it you’re playing with fire. Whether you cook with wood, charcoal, or gas, the risks remain the same. Why? Flames turn chemicals found in so-called “muscle meat” such as beef, pork, poultry and fish into carcinogenic substances. HCAs (heterocyclic amines) and PAHs (polycyclic aromatic hydrocarbons) are chemicals linked to increased breast, prostrate and colorectal cancer. When meat, fish or poultry, are cooked over an open fire, juices drip onto the coals, causing flames to flare. The meat is engulfed in vapours which are aromatic, delicious and also toxic. Go for small cuts: They cook faster, so spend less time over the flames. Select lean meat: Less fat reduces the flames and therefore produces less smoke. Marinate: There are differing views on this. However it is believed that marinating vastly reduces HCA formation. Use virgin olive oil: The phenolic compounds have antioxidant properties believed to reduce the formation of HCAs and PAHs. An Italian study published in 2007 suggested that the use of this oil may reduce the risk of colonic cancer. Break open a capsule of vitamin E. Mix this into meat or marinade to reduce the formation of HCAs. Add rosemary, garlic and/or sage: to your marinade or other dishes. They have been found to block the formation of both HCAs and PAHs. Cook with cherries, which are rich in antioxidants. Researchers at Michigan State University found that adding cherries to ground beef reduced the HCAs produced by approximately 70%. Pre-cook foods. Microwave meat for two minutes before braaiing. This draws liquid out of the meat which reduces flare-ups on the fire. The NCI (National Cancer Institute) says this decreases HCA content by 90%. Cooking the meat while it is warm also decreases time over the flames. Allow coals to cool. High-temperature cooking is fuel for carcinogens. Position the rack up from the flames. Use tongs and do not prick meat. When the meat is punctured, juice drips onto the coals, causing flare-ups and increased smoke. Flip every minute. This prevents a loss of heat from both sides so the meat cooks faster, resulting in less HCAs. Avoid overcooking. The longer you braai, the more the carcinogens develop. However undercooking can also be dangerous, so be sure your meat is cooked through. Hold back on the gravy: Do not use juices produced during microwave pre-cooking as they have a high content of the proteins that form HCAs. 5. The most important part: Enjoy! Augment the menu: with vegetables such as cauliflower, onions, kale and broccoli, and fruits such as apples, grapes and berries. These are high in antioxidants and other phytonutrients. End with a cup of tea: The polyphenols in rooibos and green tea particularly help our bodies excrete carcinogenic compounds. So next time you feel like a braai or barbeque, remember that fire burns. That doesn’t mean we don’t use it. It means we treat it with respect. Enjoy your boerewors!